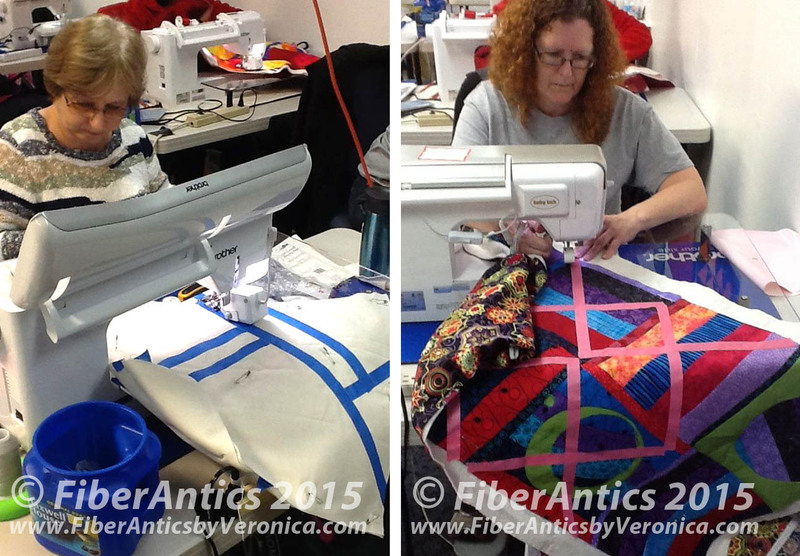 "What do you want to learn next after taking a beginning free-motion quilting?" 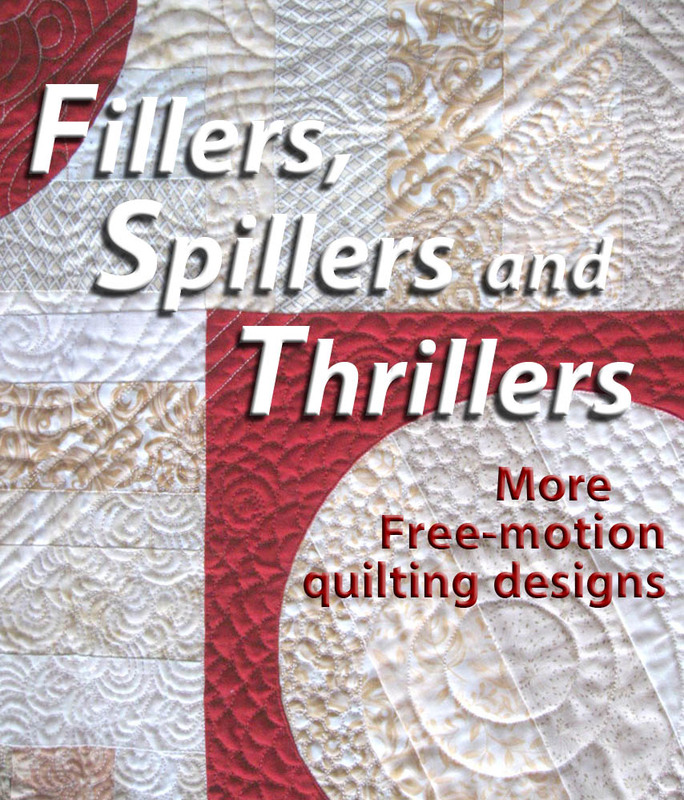 I've asked students this in many of my Intro to Free-motion Quilting classes and created "Fillers, Spillers and Thrillers" based on their feedback, ideas and requests. 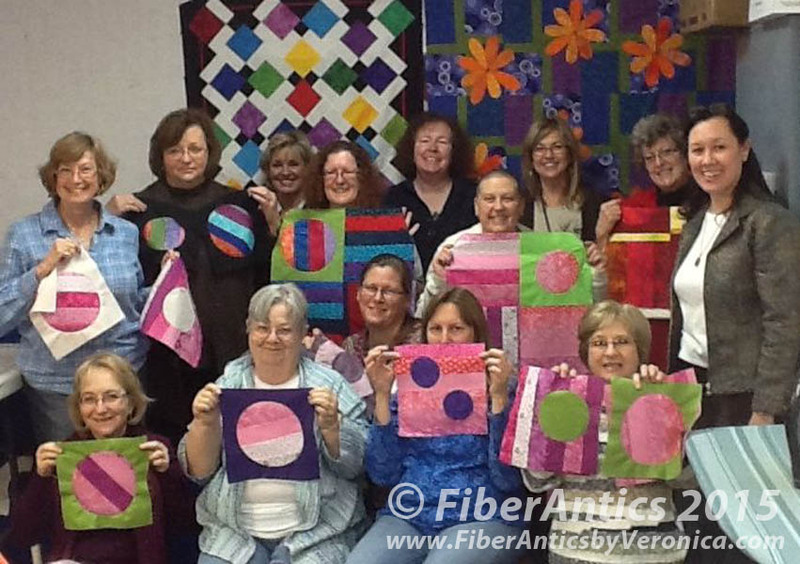 I taught this class in Huntsville at Huntsville Sew and Vac mid-January in addition to the Intro to Free-Motion class and the students did amazing work. Student work from my "Fillers, Spillers and Thrillers" class. 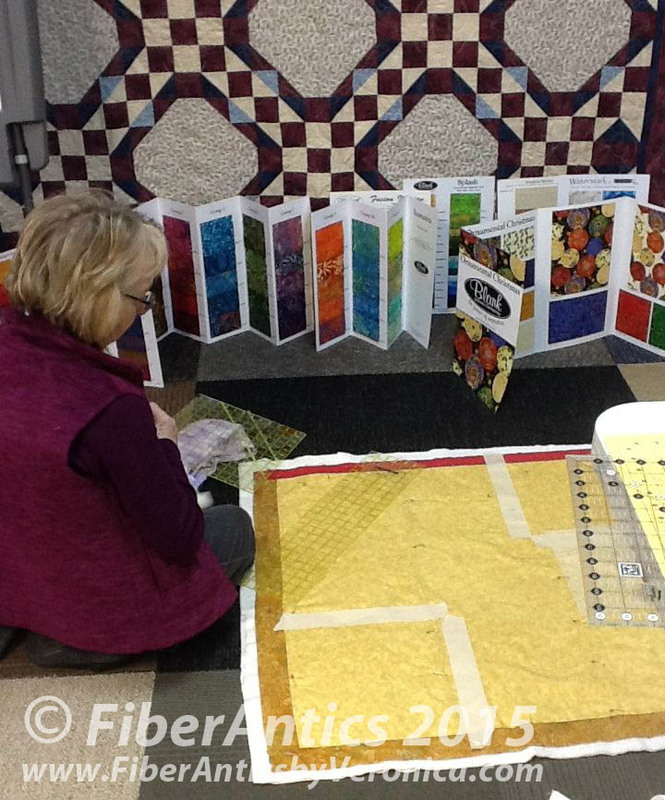 Areas on the quilt top were prepped for the background fillers. 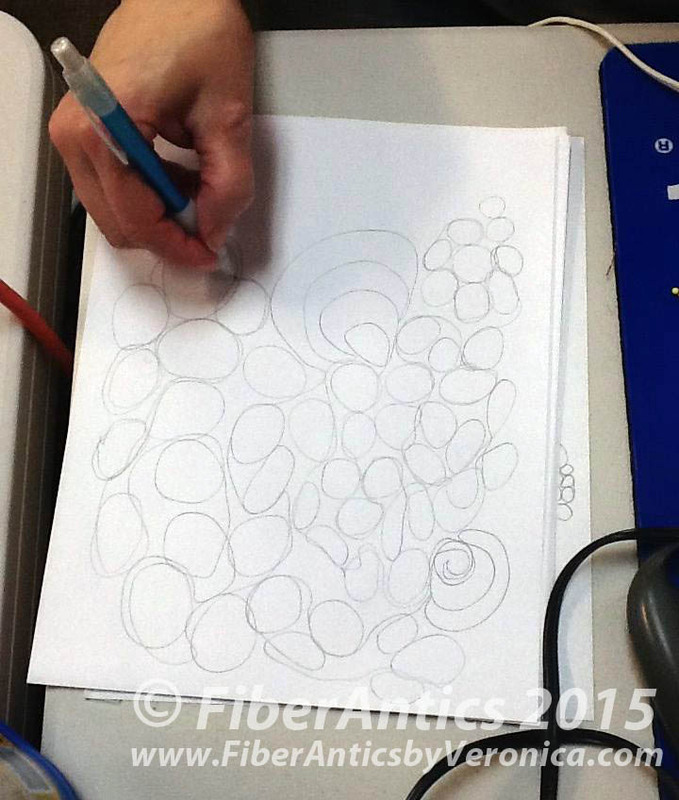 Terri (left) and Brandy prepare their layouts for background fillers.. 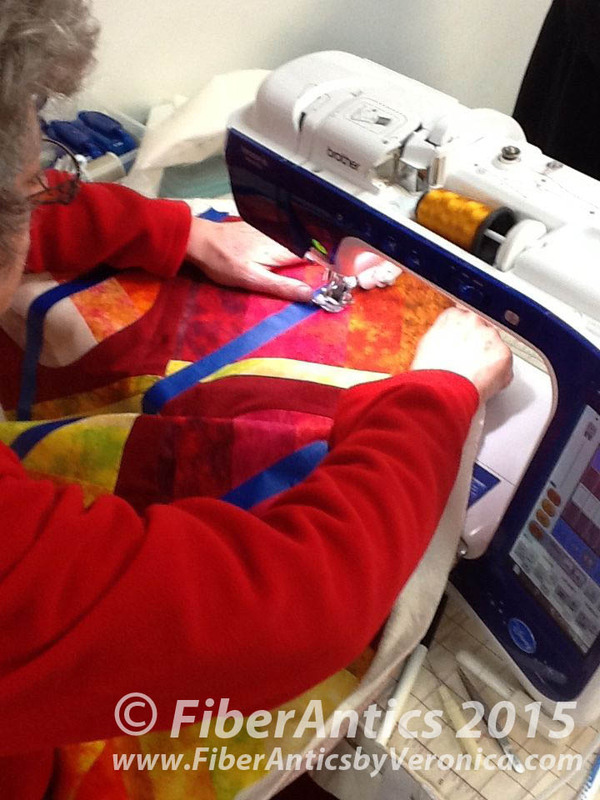 The Elements and Principles of Design were discussed as they related to free-motion quilting motifs. 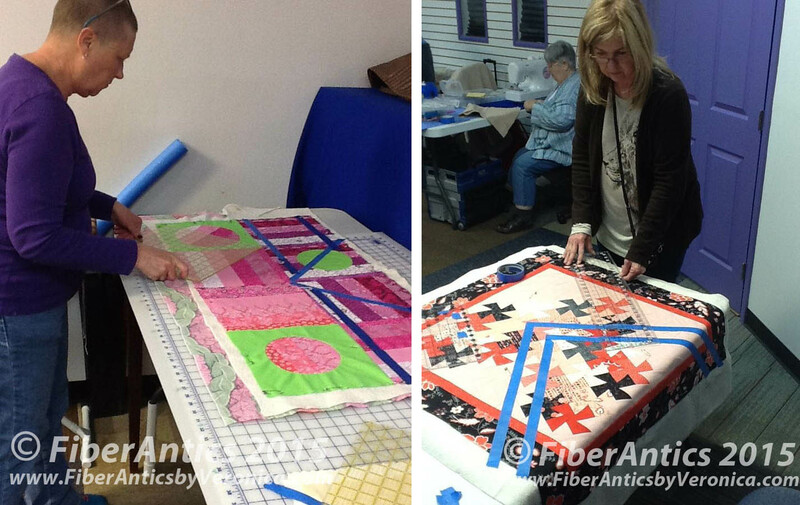 Gisele (left) and Denise in my"Fillers, Spillers and Thrillers"
free-motion quilting class at Huntsville Sew and Vac. 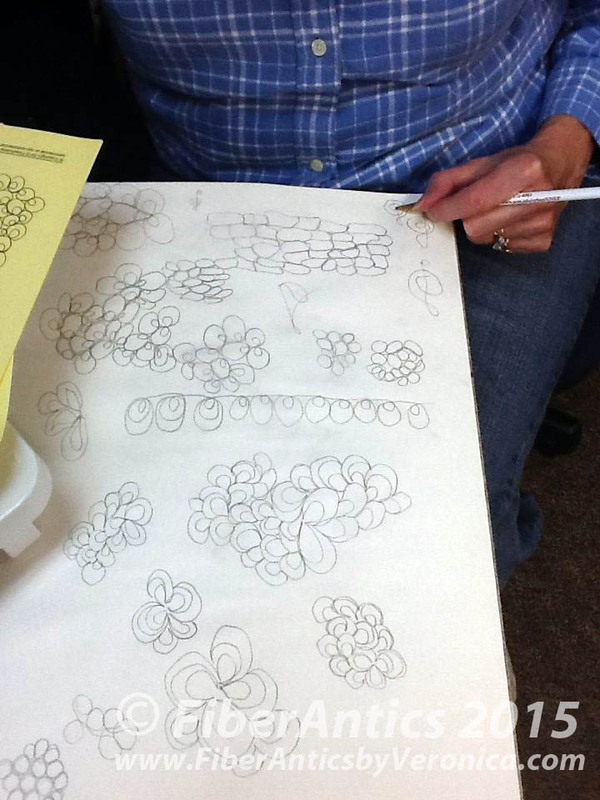 Several students even used the "Circle in a Square" table runner they made in the reverse appliqué class. Talk about productivity! Maureen quilts the "Circle in a Square" table runner. Thanks for letting me hang out with you for 3 days in Huntsville! I had a great time.